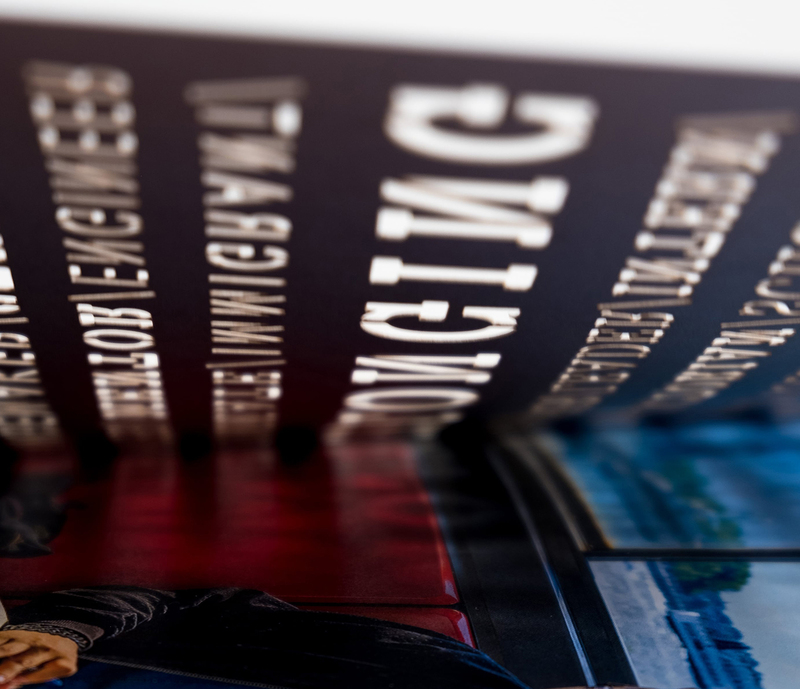 Illustrating strength in diversity in a bold annual report. 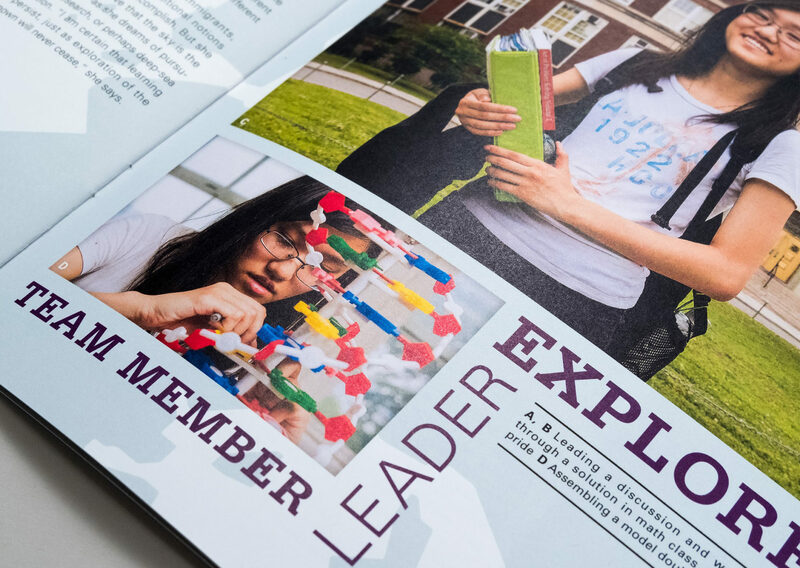 For eight years, Suka served as the creative force behind New Visions for Public Schools’ (NVPS) award-winning annual reports. Each year, Suka collaborated closely with the organization’s leadership to conceive of a new and powerful way to communicate this leading educational organization’s mission in action. For the 2017 annual report, Suka partnered with NVPS leaders and identified “Strength in Diversity” as the central theme to drive creative development. This powerful concept is lived every day in 79 New Visions public schools across New York City. Not only are each of the NVPS schools diverse in academic focus, but their students represent the City’s extraordinary range of cultural backgrounds, academic interests, and aspirations. 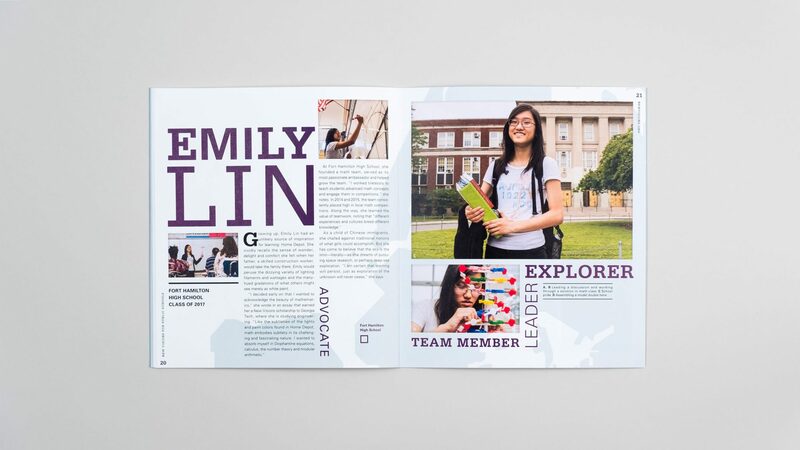 To convey this big idea, the Suka team titled the annual report “Belonging” to evoke the sense of inclusivity and closeness felt by students at New Visions schools, regardless of ethnicity, gender, identity, or career interests. 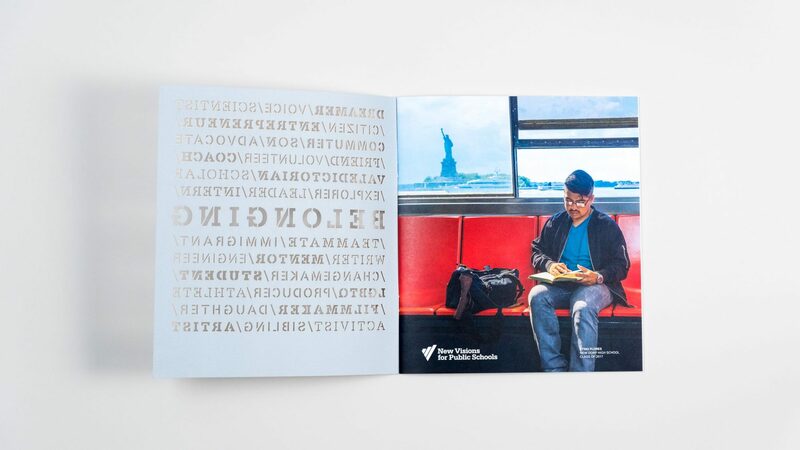 As our team worked to write and design the report, we sought to express both diversity and unity. NVPS students inspired our team throughout the process, and we featured them prominently in the report as a way to explore aspects of identity in words, photographs, and graphics. 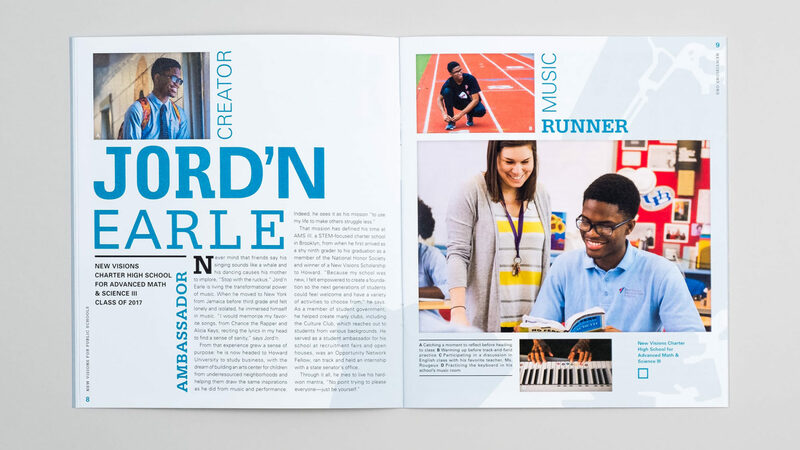 Inside the report, a word mosaic combined with commissioned photography spoke to each student’s unique life story and goals both in and out of the classroom. Our creative approach presented a compelling view of students that played out on each spread. 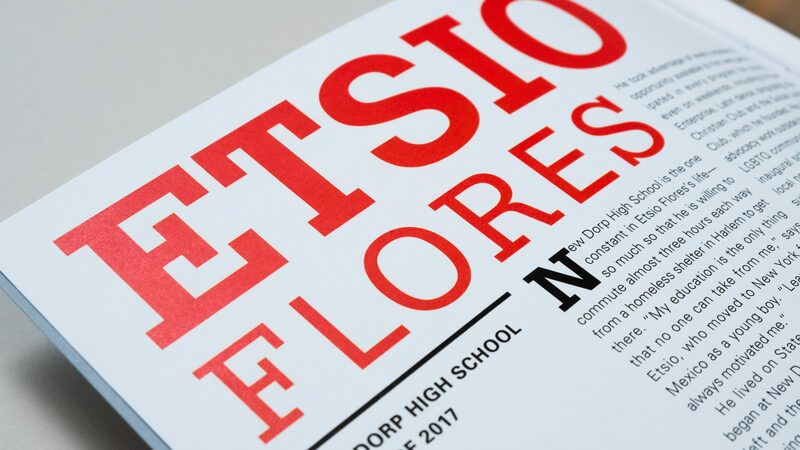 Typeface choice and scale variations underscored the “Strength in Diversity” theme, while a map of the NVPS schools across New York City illustrated the organization’s physical reach, scale, and impact. The 2017 NVPS annual report delivered a powerful message of unity in diversity through an experience that celebrates the individuality of each student as well as as well as the collective strength of the entire student body. It is this diversity that enables the organization to make such a significant social impact in New York City.